ABB was established in 1988 after a merger and is one of largest and global industrial engineering companies. The company operated under the traditional complex model where it registered rapid growth in Asia and US at the beginning before a decline in growth. With change of founder CEO, revenue declined only to start increasing under the turnaround specialist, Jurgen Dormann. Jurgen simplified and reorganized the complex structure to focus on power and automation as the core global divisions, a strategy that saw its innovation technological and market share leadership gain dominance in an industry that was also undergoing through reorganization. With strategic and operational priorities made clear, Mr. Kindle, the new CEO was required to recommend to the board of directors the best organizational structure/model to achieve the set priorities. Analysis of the suggested three organizational models and the ability to implement them to have “One ABB” forms the basis of this case study. Therefore, under the ABB case study, we review how organizations adapt and cope with the frustrating cycle of change, weaknesses in strategic and organizational structures as well as influence of external factors. Through this, appropriate organizational models and accompanying requirements needed to support the models have been recommended to ABB. While there are various factors behind ABB’s frustrating cycle of change, strategic factors come into sharp focus. ABB’s case study in relation to organizational change is best understood by analysis how organizations evolve as they grow and the role of business leadership in influencing the strategy formulation and execution. For example, since its establishment in 1988, the company had gone through various organizational transformations hoping to improve its condition but in most cases this ended up not achieving the much needed results and at times worsening the crises. In addition, the initial strategy that involved two stages, that is, restructuring and growth saw the company expand through introduction of centralized control system and increased investments and acquisitions. This created a problem in its own in that the company had to manage its expansion, increased management levels. Without changing the complex control system this was a time bomb awaiting to explode since as companies expand, centralization of operations becomes a disincentive to operational efficiency and competitiveness (Dlabay and Scott, 2011). Lindahl era was also marked by similar problems but more so his failure to analyze was failing the company meant that downsizing and shifting manufacturing capacity was not going to work. This fact dawned on him and changed the company’s on automation and power to add six more business segment, a decision that proved strategic given that revenue and profits rose considerably. The decision to centralize key decisions at lower levels reduced strategic blunders earlier occasioned by lower level managers. Organizational problems that frustrated ABB cycle of change included ‘the three internal contradictions of being global and local, big and small, and radically decentralized with centralized reporting and control. The global matrix structure introduced to resolve these problems comprising of business and geography dimensions with 8 business segments and 65 business areas was to complex. As a result, it was changed and simplified in 1993. In addition decentralization of decision making at the lowest level possible failed as local managers made some decisions that were not in line with overall corporate strategy. Failure to align the people processes within the countries and geographically complicated the scoreboard to assess efficiency and productivity of the labor force. Given that labour is a key factor of production, failure to have clear policies and processes was bound to create internal friction due to multi-layered HR structured. Jansson (2007) pointed on the need to have functional relationships especially in companies that are geographically and functionally diverse. 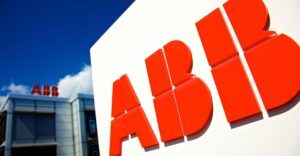 Poor governance structure, internal communication, feedback and follow-ups are also to blame for ABB’s change frustrations. Due to the autonomy given to business areas, some decisions that were to be implemented across the board were either abandoned or poorly executed. To illustrate this, the company lacked a group website, customer interface platform, a code of conduct and clearly defined roles and lines of communication among personnel especially country managers. 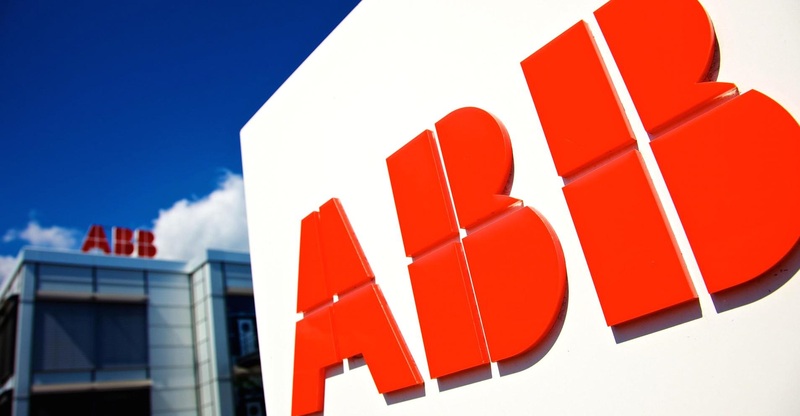 External factors also affected ABB’s change management. For example, the Asian financial crisis in 1997 resulted into collapse of ABB’s flagship power generation project in Malaysia. The restructuring that was also happening within its competitors also affected its expansion and profit objectives. The prospects of better economic growth and stock market preference for asset-light and innovative knowledge based organized partly boosted the returns from acquisitions made by Lindahl in the late 1990s. Kindle inherited a company that was recovering from Dormann. His main goals were threefold, that is, to strengthen execution, address lack of commonalities and integration and need for global optimization. The goals were informed by inherent problem that characterized ABB since its establishment. Based on this, he was to choose one model from the three provided by the corporate planning group. Second, Functional Organization Model is successful among large corporations like Emerson and Rockwell in that they increase efficiency in execution as roles are clearly defined. However, where an organization is spread geographically friction is common among regional and functional heads reducing performance. This is partly what ABB was experiencing. Third, Global Business Organization Model is preferred due to its decentralization of decision making but where product characteristics is different geographically its posits a challenge to integrate. In addition, it allows companies to enjoy global economies of scale by producing in low cost countries and selling in high end markets (Mourdoukoutas, 2006). ABB should put the necessary people systems and process that include harmonization of the HR policies, developing clear communication lines, best practices and knowledge sharing platforms. This would help ABB to benefit from knowledge and innovations developed in one country or business units are they are shared. Harmonization of HR policies would also eliminate inherent tensions among personnel in different lines of authority. What people systems and processes need to be put in place to support the recommended organizational model and the required organizational transformation? Dlabay, L.R. and Scott, J.C. (2011) International Business. Mason: South-Western Cengage Learning. Mourdoukoutas, P. (2006) Business Strategy in a Semi Global Economy. New York: M.E. Sharper Inc.